Cauliflower fry is a favorite evening snack for my son Siva. 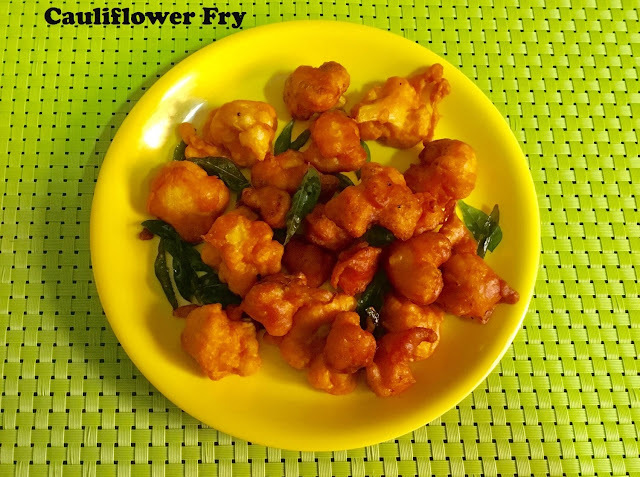 This cauliflower fry is a deep fried snack, which many of us will order as a starter in restaurants. This cauliflower fry is an easy dish to prepare, but it requires some little attention to get perfect results. The ready made mix for snacks are slowly entering in many of our kitchens for cooking easily without much effort. But it's not healthy as it includes artificial colour, preservatives and monosodium glutamate. Actually, preparing homemade snacks is very easy and healthy too. 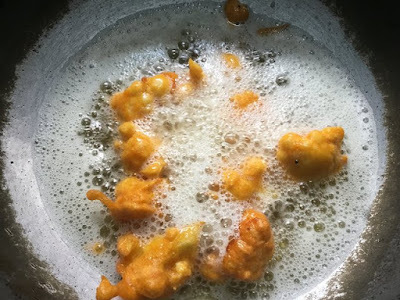 This cauliflower fry includes besan flour, rice flour, corn flour and maida. To add the flavours ginger garlic paste, chilly powder and lemon juice are added. 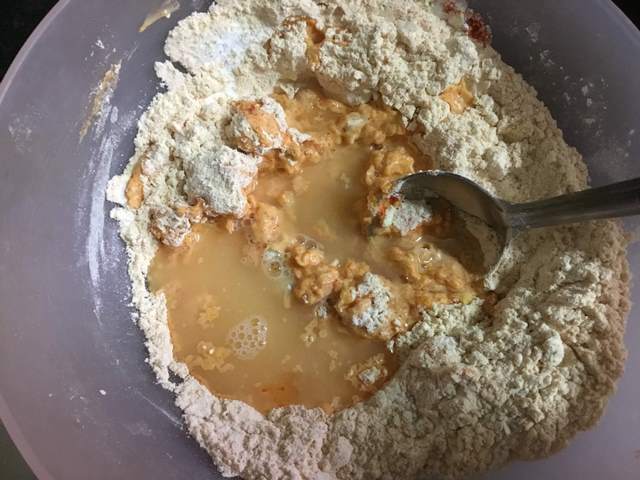 After mixing the batter, it takes only 20 minutes to prepare it. Now we will see some important tips for Cauliflower fry. 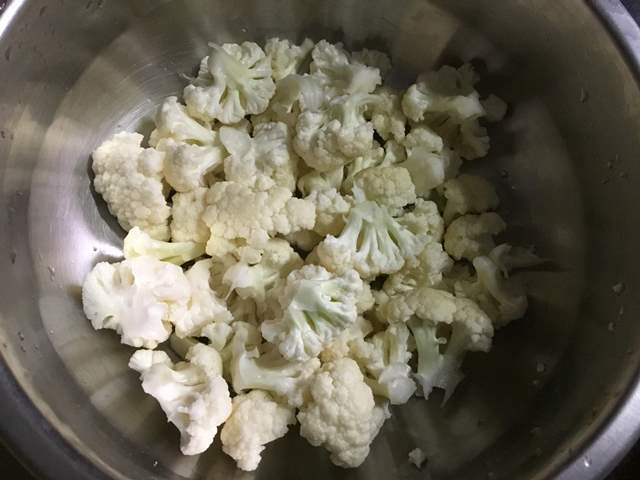 When selecting cauliflower, always choose medium flower which is tightly packed. If they have black spots then it's not fresh. The consistency of the batter should be thinner than the bajji batter. If the batter is too thick, your fries won't be crisp. If the batter is too thin, you can't able to coat the florets uniformly. For deep frying, do not add each and every florets one by one. 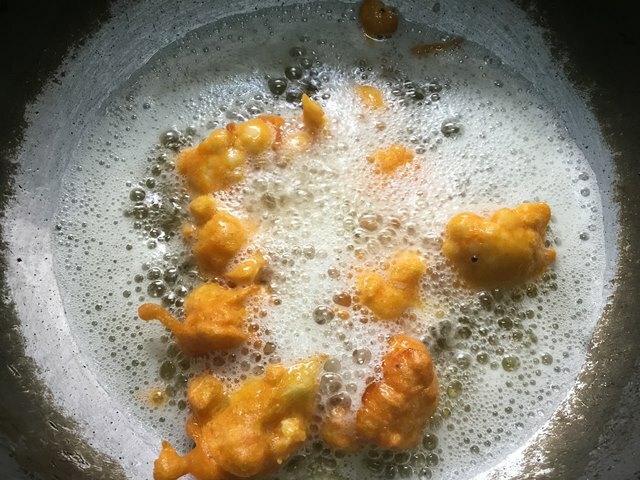 Add all the florets in the batter and mix it well with your palm and take a handful of dipped florets and spread it carefully in the oil. Fry them on medium heat and in the final stages add a handful of fresh curry leaves and then carefully remove from the oil. 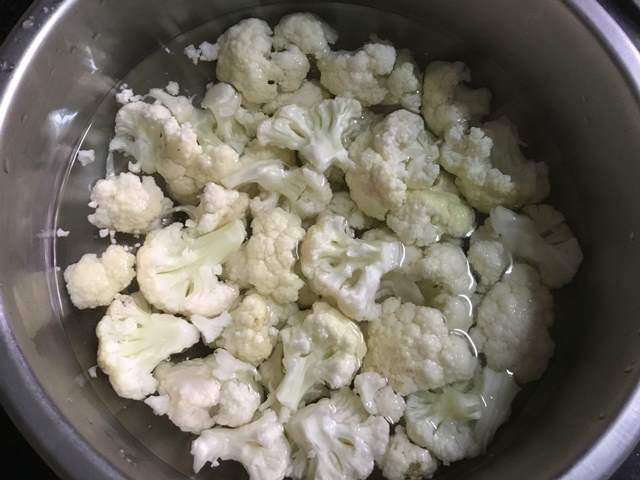 Remove the leaves from the cauliflower and separate the individual florets. Place the florets in a vessel filled with 3 inches of boiling salted water. Cover and keep it for 15 minutes. 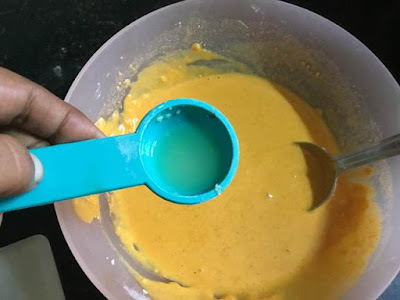 In a medium bowl, combine besan flour, rice flour, maida, corn flour, red chilly powder and turmeric powder. Add the required salt and ginger garlic paste. Next, slowly add water little by little and prepare a medium thick batter. Add lemon juice and mix it well. Whisk them well for a few minutes. Check for the seasonings and add if anything required. Now add the florets and mix it well. Make sure to coat well with the batter. Heat oil in a deep frying pan. Once the oil is heated enough, add the spread dipped cauliflower in the oil with your palm. 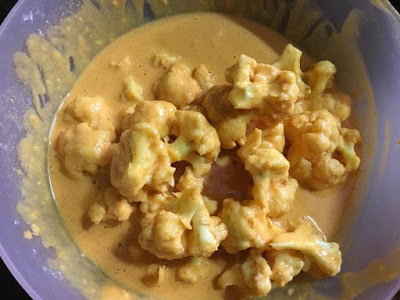 Fry the cauliflower on medium heat until slightly brown in colour and crispy, about 3 minutes and finally add curry leaves. Remove the fries with a ladle and drain it in a paper towel. Serve it immediately. Remove the leaves from the cauliflower and separate the individual florets. Place the florets in a vessel filled with 3 inches of boiling salted water. Cover and keep it for 15 minutes. Drain the water completely. 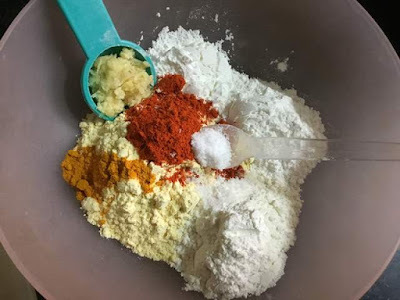 In a medium bowl, combine besan flour, rice flour, maida, corn flour, red chilly powder and turmeric powder. Add the required salt and ginger garlic paste. 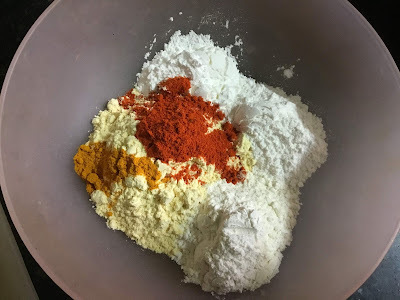 (You can also add 1/2 tsp black peppere powder and 1/2 tsp garamasala powder). Now add the florets and mix it well. Make sure to coat it well with the batter. 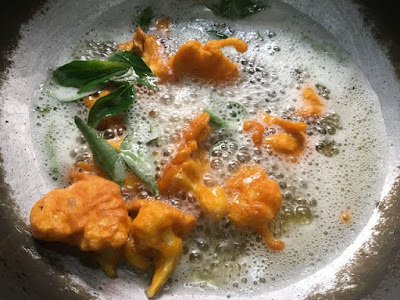 Fry the cauliflower on medium heat until slightly brown in colour and crispy about 3 minutes and finally add curry leaves. Remove the fries with a ladle and drain it in a paper towel. Serve it immediately. 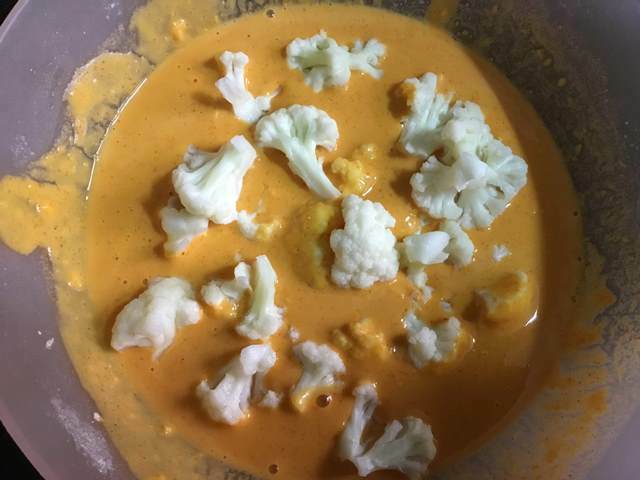 Repeat the process for the remaining dipped cauliflowers.